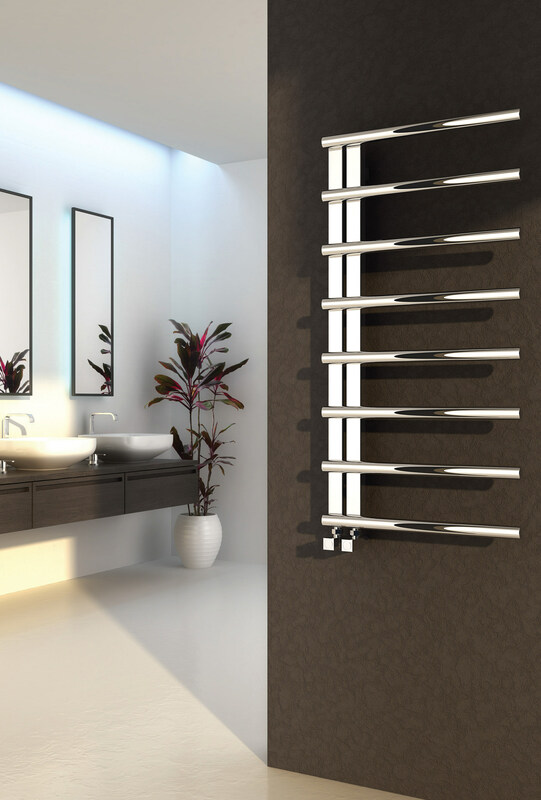 The Reina Celico Designer Towel Radiator is a prime example of skilled workmanship and superior quality welding. The design consists of horizontal lateral bars arranged at an equal distance and bolted securely against two upright bars. The sophisticated polished finish with a reflective quality makes this piece shine brilliantly while giving it a grandiose, luxurious feel and appearance. 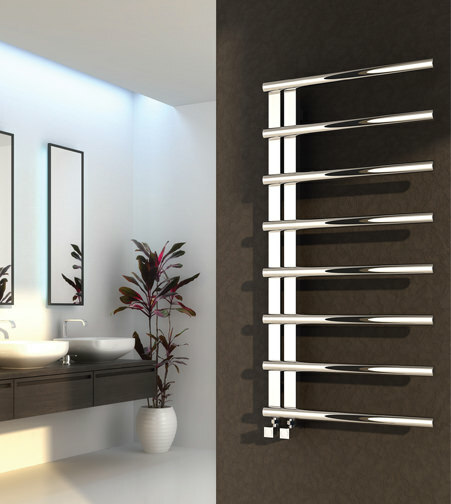 This wall mounted creation is made of stainless steel to offer durability and years of uninterrupted service. It generates considerable amount of heat to warm up the entire room in a matter of minutes. Width 500mm x Height 1415mm - RNS-CLI5141. To use this radiator as Duel fuel you would need either a 400W standard electric element or a 300W thermostatic element. Also, you require a T Piece, which connects the element to the radiator to enable this to work from the central heating and element. You would also require valves for this purpose but any of our valves are suitable for all of our products so it is your preference.